So Who Is This Tesla Chap Anyway? We see and hear his name mentioned a lot and for good reason. Nikola Tesla died at the age of 86 of a suspected heart attack in room 3327 of the Hotel New Yorker on 7th January 1943. By the time his nephew had been told of the news and had reached his uncle’s hotel room only a short time later, his body had already been moved, but more importantly, so had all of his papers, notes and life’s work. It was rumoured that the FBI had the papers, and after officially confiscating them two days later they stated that there was “nothing of any significance found.” The papers in question incidentally are still missing. Nikola Tesla - one of the most fascinating and important minds in history. Nikola Tesla was born, if the story is correct, just after midnight during a wild electrical storm on 10th July 1856 in what is now Croatia. From being a child it was obvious that he had a fantastic mind, even making quite complicated toys for himself as a young boy. One thing he was always fascinated with, whether it was ingrained in him from his very first moments on Earth, was lightning and electrical power – it simply took over his thoughts as he grew to be a young man. He stated that he wanted to harness the Earth’s own power for the benefit of all mankind. After working as an electrical engineer in Budapest, Tesla moved to America at the age of twenty-eight. Once there, in New York, he found a job as an assistant to one, Thomas Edison. Like Tesla, Edison was also drawn to electricity and power, but had different theories to Tesla. Eventually, wanting to fully explore his own ideas, Tesla left Edison’s employment to further his own visions. What followed is referred to as the “War of the Currents” as each inventor looked to have their theories on power supply put into motion across the United States and ultimately the world. 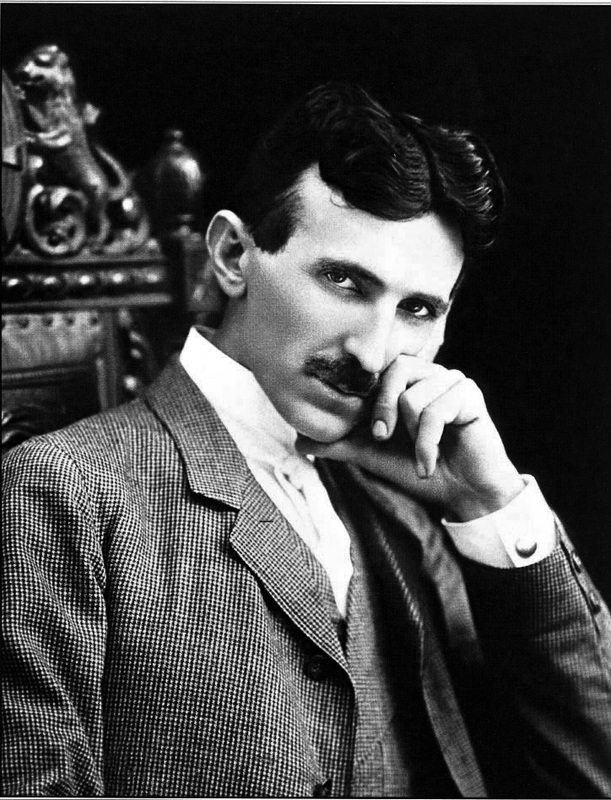 Tesla, who it was said was born during a lightning storm was fascinated with lightning and electrcity is whole life. Without getting too technical, Edison favoured a direct current method, which would lose potency the further away the target was. It could power up a light bulb but required constant power sources. Tesla however, offered his alternating currents theory – which could travel over much longer distances and need less power sources along the way. Tesla could use Niagra Falls as his main power source to light up a huge portion of the East coast of America. Ultimately Tesla had won the War of the Currents and his AC power system still to this day remains the foundation of the world’s power grid. But that was just one of Tesla’s many achievements and certainly not his ultimate goal of truly harnessing the natural power of the planet. Just for perspective and to demonstrate how much Tesla has contributed to the modern world, when he died (over seventy years ago) he had around 300 patents to his name, and some feel that figure is likely to be much higher as many of his ideas were not patented. Tesla had a hand in developing such things as electrical rail line, turbine engines, neon lighting, wireless radio, x-ray, remote control, speedometers, drones and human robotics to name just a few. In 1931 Tesla even drove a fully electric car on display for journalists to see, the car itself reaching 90 mph. Nikola Tesla was years ahead of his time. To say he was ahead of his time would be a huge understatement. He spoke several different languages and often went days at a time without sleep when his ideas were in full swing. He was said to only sleep two to three hours a night generally. Some even claimed he was a “receiver” who was getting messages from other worldly beings, his ideas were that ahead of their time. By the end of his life though, he was seen as an eccentric. A mad scientist with crazy ideas who was also obsessed with numerology and the number three in particular – it was said that he had to circle a building three times before entering it. Even today he is not held in as high a regard as he probably should be. Tesla also by contrast had an appreciation of clothes, fashion and how a person appeared. The main reason for this was not so much in a vain sense – by all accounts he wasn’t materialistic and did not wear jewellery. It was in line with his observations that a person who is well dressed and smart will be listened to and considered more than someone who looked dishevelled and unkempt. He was even known to, on occasion, send his assistants home to change if he did not approve of their dress or their clothing. He was also known to be impatient and harsh at times, with a particular “disgust” for those who were overweight. 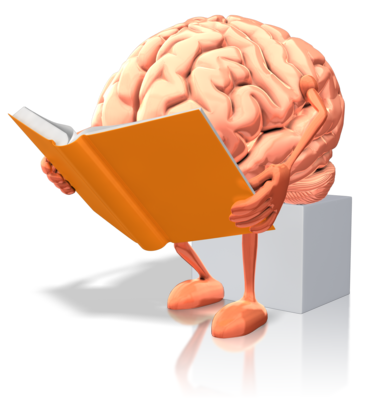 However, he was largely seen as a humanist in his general world view, and was certainly not looking to “get rich” or exploit “the many” despite his obvious higher mental capacity than many of those around him. With this in mind, this is where things get a little interesting. It can be argued, depending on your point of view, that despite Tesla’s own eccentricities there were two main events that contributed to him being “shunned” out of the scientific mainstream. 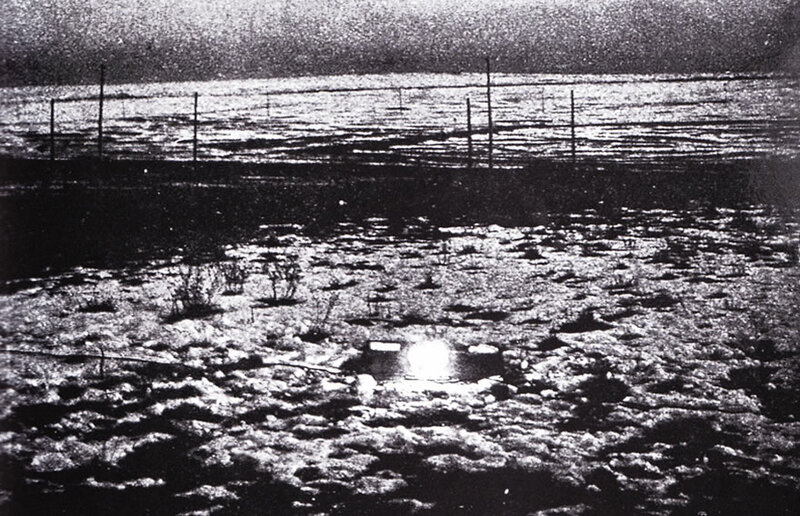 Light bulbs lit through wireless energy in the ground - Colorado Springs 1899. 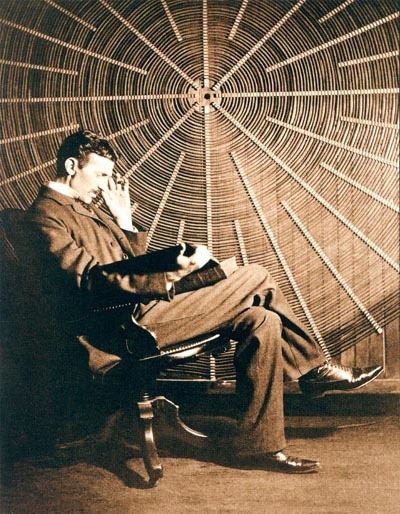 What Tesla really wished to do was to explore his theory of the wireless transmission of power – harnessing the planet’s own power and then using it for the benefit of mankind. A year earlier in the summer of 1899 Tesla was living and experimenting out of Colorado Springs. It is here that he first experimented with wireless transfer of power. 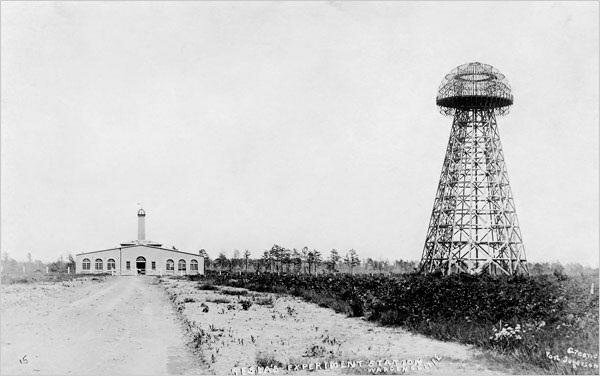 Essentially Tesla created an artificial bolt of lightning at a central point – a tower – and then set up a ground tuned coil and light bulbs into the earth around the tower. The light bulbs lit up, up to one 100 feet away. His theory worked. People, who were unaware of his experiments, recall seeing sparks flying up from the pavement, and horses that were in a stable nearby bolted from where they were standing. 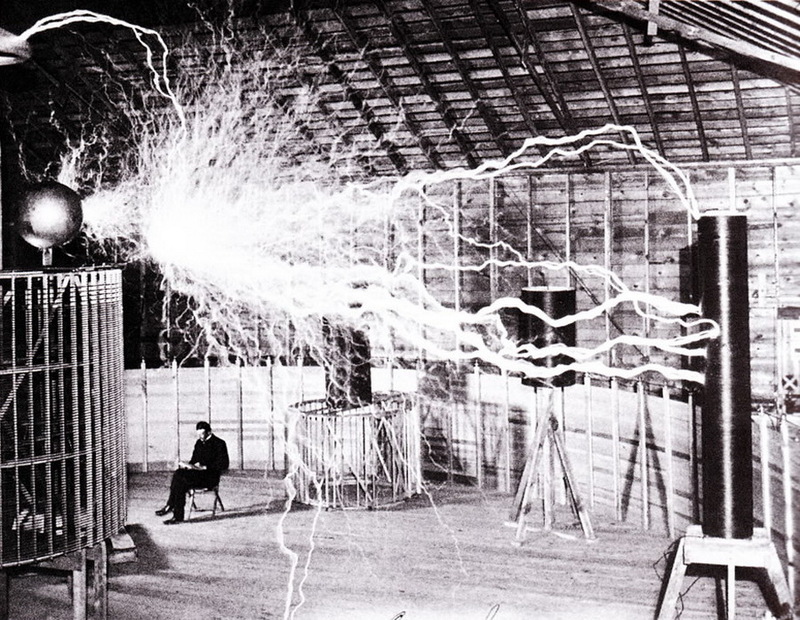 It was also around this time that Tesla claimed he had intercepted a transmission while conducting these experiments. He theorised that he had possibly intercepted a transmission from another planet. The story made national newspapers and no doubt contributed to his later reputation as an eccentric. You can read about those claims here. While some to this day insist this is a possibility, other suggest it could have been morse code tests or other wireless tests that he had picked up on, several of which were said to be taking place around the same time that Tesla was conducting his Colorado Springs experiments. You can read the full notes Tesla’s Colorado Springs Experiment here. Tesla now wished to test his theory out in full. He envisioned being able to have towers around the whole world, that would be able to provide energy to and then from the earth, with no need for wires and connections. Everything could tap into this energy, even electric planes would be able to be developed. Every home and business could also tap into this energy source. And it is would essentially be free. Free as air is to breath. That’s a good thing, right? There was soon wrangling over the funds from Morgan, with some (since) claiming that he had discovered what Tesla’s real plans were and so refused further funding, which under the agreement of Tesla’s original loan Tesla was not permitted to ask for anyway. Tesla carried on with project but all pleas for extra funding fell on deaf ears and ultimately the project was dead by 1908 and the tower itself was demolished in 1917. Was Tesla not given funding simply because people had other business interests and commitments? Or maybe people simply did not share the same faith in his ideas as he did? Or was it the fact that free energy, something that is hotly debated even today, would simply take money out of the government's and certain “elite’s” pockets? By the time Tesla had moved into the New Yorker in New York during the 1930s, he was said to have been working on a new energy weapon. A weapon that Tesla claimed would bring peace around the world. Tesla himself referred to it as a peace beam, although it has become known as the Death Beam. Tesla claimed by using direct plasma and solid particles, a lightning bolt would shoot out a beam that would knock aircraft out of the sky from 250 miles away. It would drop an army dead in their tracks. Were Tesla's papers and notes stolen in the immediate hours following his death? While the latter may have been naïve thinking on Tesla’s part, it is said that the United States were interested in this weapon, and were said to have considered using it over Einstein’s Atom Bomb. Of course we know which weapon won out. It is interesting to note though that today there are technologies that are using such weapons – referred to as laser defense. The Iron Beam project is just one example. It does make you wonder though if the reason the FBI confiscated his possessions, and if they did indeed remove his private papers in the immediate hours following his death, were they looking for the Death Beam plans? Did they want them for themselves or were they afraid that a potential enemy may take possession of them? Are the laser defense technologies that we see today an extension of Tesla’s work? Chances are we will never know, like many things, but one thing for certain is that Tesla’s influence in our modern world can still be felt everywhere. We will leave with these words from Nikola Tesla.